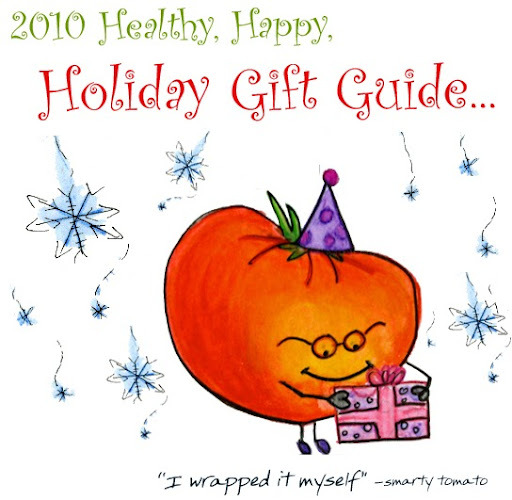 Healthy, Happy Holiday Gift Guide! ..on my list. This Healthy, Happy Holiday Gift Guide is all about me. No, really. These are gifts that I not only think you and your giftees will adore - but these are all gifts that I swoon over. My gift-giving rule: if I wouldn't love it, I won't give it! And fyi, these gifts are my faves - No advertising involved folks. 100% me. Vegan-friendly. Lets get started!.. I love this brand. Chic, modern, hip and 100% cruelty-free. VC's winter coats are gorgeous and I love their tanks and tees with smart and sassy phrases like "I do Win Friends with Salad". If you ever meet a critic who says "vegan fashion" isn't do-able because it isn't stylish, just send them to VauteCouture.com and they will think again. 3. VitaMix. 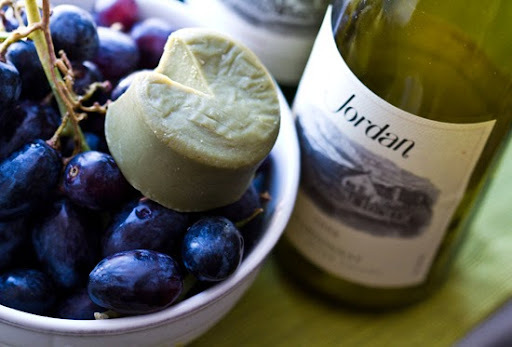 Blend your way to a healthy, happy 2011. Also fabulous, a high quality juicer! Meet my juicer. MooShoes will get your vegan feet in gear! If you have finally worn out your last pair of "I'll wear them till they break" leather boots - head on over to MooShoes website to veganize your feet. Styles for year-round wear. My fave designer at MooShoes has to be Elizabeth Olsen. 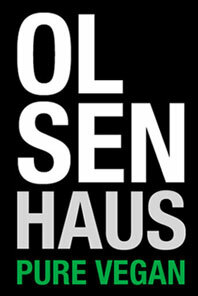 Of OlsenHaus. Genius. Sadly, I do not own a pair yet, but trust me, I'm working on it!! The Paris heels - to die for. Yup, I spend my weekend brunch hour at Le Pain Quotidien. I'm an addict. I can't get enough. Those giant warm bowls of Soy Latte. 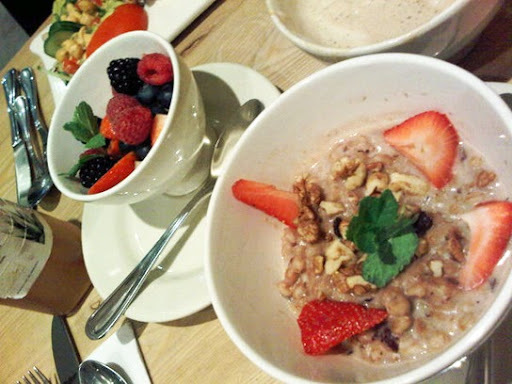 Cozy hot soy-based oatmeal or my all-time favorite the Farro Porridge with cranberries, nuts and almond milk. Also love the muffin: Green Tea Ginger. I'd be very, very pleased with a gift card from one of my favorite vegan-friendly brands. (And if you are going to go the Gift Card route, this one sure beats Starbucks!) Le Pain also has a few stellar items for a vegan gift basket (harissa, olive oil, spices, tapenades and more). You really can't go wrong with a gift of alcohol during the holidays, right? Haha. Well my faves are rose champagne, dry prosecco or some Napa region wine. My new favorite brand is Jordan. From Napa. Their California Chardonnay is exquisite. They produce a awesome Cabernet Sav and a first class extra virgin olive oil. My fave holiday bevie combines prosecco or champagne topped off with a splash of fresh pomegranate juice. Pom-Secco. Why not indulge your best travel-obsessed friend or relative with a hotel gift card? I would love this gift! Try a few of my favorite chains: Mandarin Oriental, Four Seasons, Morgans, The Standard or your own fave. A trip to the spa is always a welcome gift in my opinion. 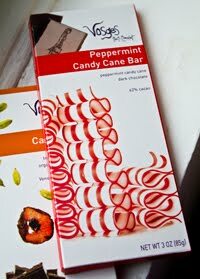 Vegan chocolate, you know, the really good stuff, can be a brilliant gift for the holidays. 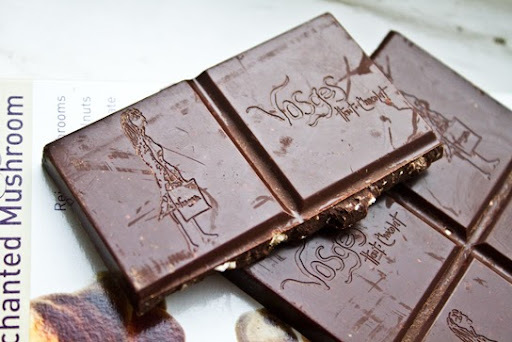 I plan on buying a huge stack of Vosges chocolate bars and handing them out to my favorite people. 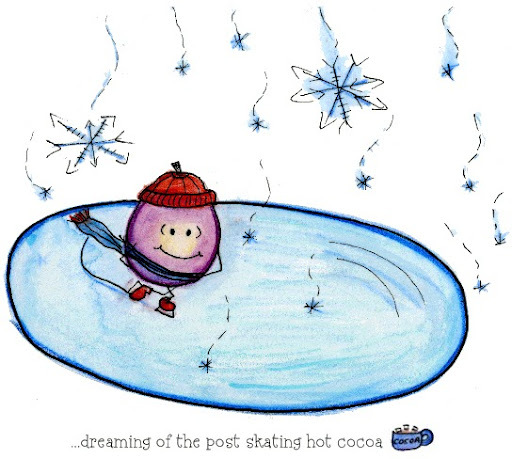 They also have ah-mazing hot cocoa. And yes, a lot of their products are vegan. Just check the description on the back for the word: vegan. If you are in NYC, check out their cool SoHo chocolate shop. Instant smile. 10. Tea! And a pot or diffuser. I love high quality tea, but sometimes I just plop the standard bagged stuff in my shopping cart. How lovely if someone were to curate a tea set with a few exotic flavors and varieties for me. Healthy gift to savor. Some of the new diffusers and tea pots and very cool. Try Harney & Sons or Argo or your fave tea brand. If your giftee lives or is traveling to NYC - (and you really really like them!) try Broadway Tickets or a dining gift certificate. Blossom, Pure Food and Wine, Dirt Candy, Candle 79, Babycakes, Lula's, Stogo and more are my faves. If your fave spot doesn't have gift cards - ask about a certificate and hope they oblige. 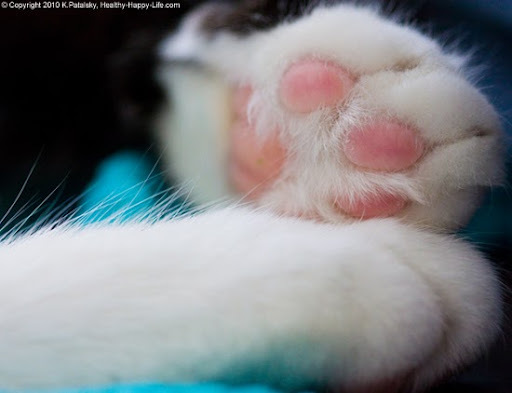 awesome gift idea: help a kitty (or another animal in need).. There is no gift better than one that gives back to animals in need. Try these organizations to help out this holiday season: Farm Sanctuary, COK, ASPCA, Best Friends, Fund for Animals, PCRM, PETA, Friends of Animals and more. You can also inspire someone to Go Vegan by gifting a subscription to VegNews Magazine. Cheese? Huh? Yes, I said cheese! Well the raw vegan kind of course. Try a DrCow vegan cheese sampler pack - I loved it last year. And what about high quality olive oil? We all love it, but usually end up buying the 'cheaper' stuff to get by. Try Eataly for some amazing Italian brands. 15. Diamond Organics sampler with overnight delivery! 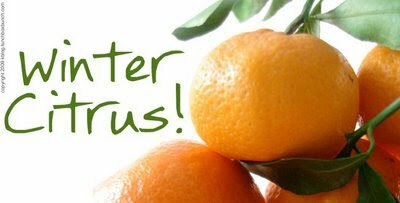 A few years back my sister got me the Diamond Organics Winter Citrus Sampler. I was in heaven. I love their brand of fruit and veggie gifts. Also try their amazing sweet potato biscuits. 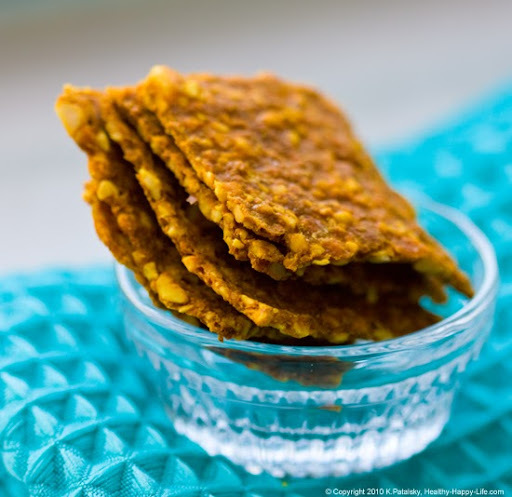 Diamond Organics offers a true taste of California heartland. Totally vegan, fun and fabulous. I've come to know this brand because she is a frequent submitter to findingvegan.com! Two fave spots to get cool gifts are Uncommongoods.com and MOMA - even if I don't buy, it's always fun to browse. 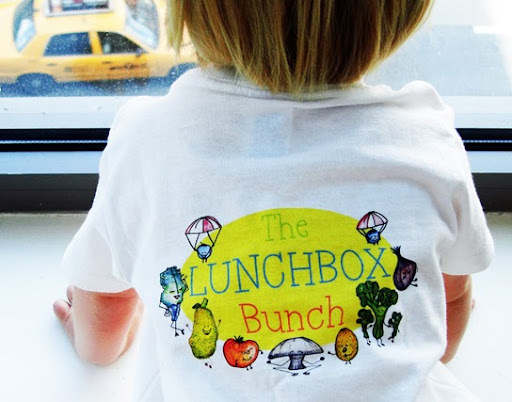 Books, tees, bags and more from my fun fruit and veggie vegan brand The Lunchbox Bunch! Who is your fave character?? Peruse products. This was just my quick list of ideas. And yes, I'll gladly receive any of these with a huge big wide smile. And reminder: I received no payment for recommending these products. Just my free gift-giving advice. :) Good luck and happy holiday shopping! If you have any more fun holiday gift ideas feel free to leave them in the comments section!